Attention Moms with school aged kids! Preparing school lunches turns into a dreaded chore for Moms, especially during the morning rush. A couple of years ago, one of my Mom friends mentioned that they freeze sandwiches. Pull a sandwich out of the freezer when packing lunches in the morning and by lunch time the sandwich is perfectly thawed. At the time I didn’t think much of it, but I also only had one lunch to prepare. Now that I have two kids in school – I totally get this idea! Of course I have two kids that have their own preferences – one like cheese, the other doesn’t – one likes mayo, the other prefers mustard. How can I keep track??!! 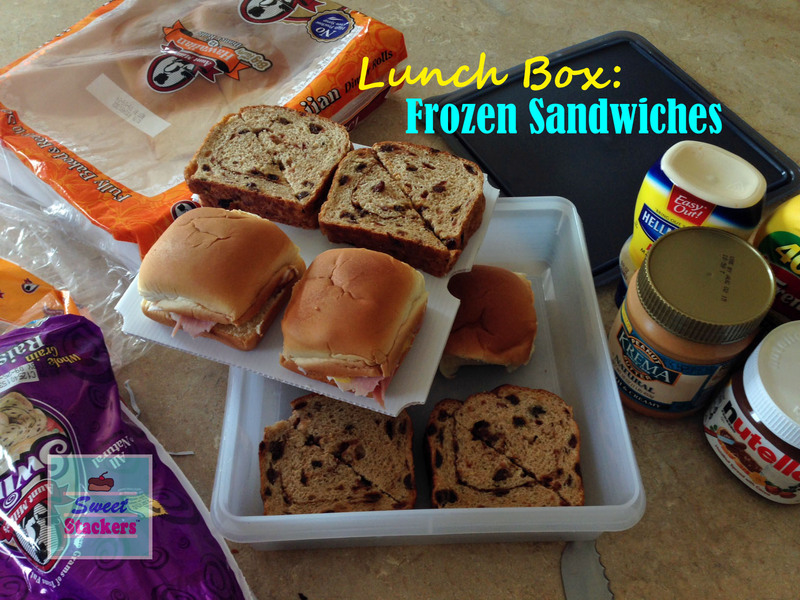 This is a great way to save time preparing your kid’s lunch box! Now I make it part of our Sunday night routine. The kids prepare clothes and backpacks and I make sandwiches for the week. Sandwiches can be stored in plastic storage bags or plastic wrap, but I am trying to make an effort to reduce waste and especially at school. I use an air-tight food storage container that will fit sandwiches in layers, using a Sweet Stackers tray to separate each kids lunch. One kid’s sandwiches are layered on the bottom and the other’s layered on top – this way I can keep track when I am packing them. Since, I am not storing the sandwiches for a long period of time, there are no problems with freezer burn or the bread drying out. The kids love them and they do not get soggy. Plus I like that the sandwiches are kept colder longer preventing deli meat or spreads to spoil. Many Moms have asked, “What type of sandwiches do you make?”. I do prefer to use whole grain breads, but I noticed that my kids get bored with the same sandwich. All kids are different, but changing up the “traditional PB&J” can be fun and a good change for them! This week I am making ham and cheese sandwiches using Hawaiian dinner rolls and peanut butter and Nutella on whole grain Raisin Bread. Do not freeze lettuce, tomatoes or other similar toppings on the sandwich. Pack these items separately on the side. When making PB&J, smear peanut butter on both sides of the bread (at least a thin layer) to prevent the jelly from touching the bread. Jelly will make the sandwich soggy. Make your own Uncrustables – there are tools that will seal and cut the crust off. Shaped sandwich cutters (or cookie cutters) are a fun way to remove crust and cut into cute shapes. Do you have any great tips to share? Here in Chicago, the snow is FINALLY starting to melt and I think the spell that was cast by Queen Elsa has been broken. The Disney Frozen movie has made quite an impression on my young girls. A few months ago, my daughter knew she wanted this theme for her 5th birthday party. My daughter favorite character from the movie was Elsa, the Ice Queen. 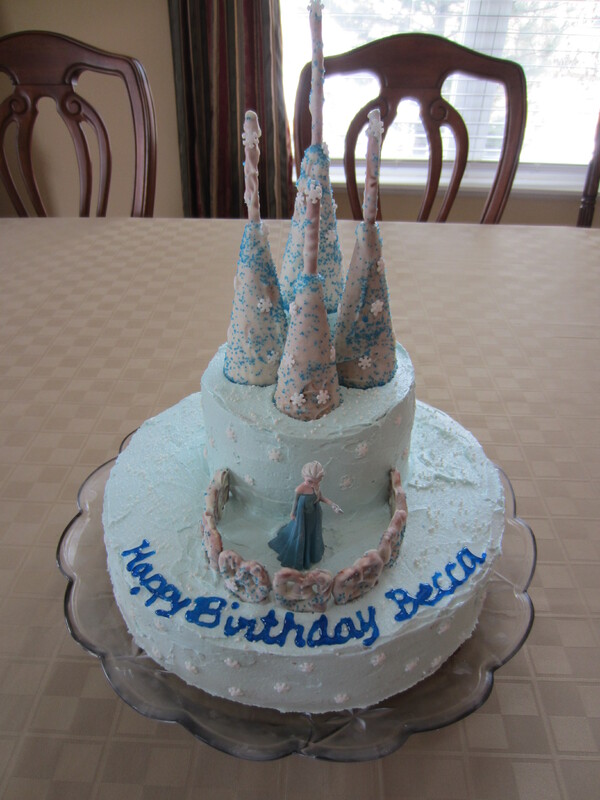 She built her own ice castle and here is the edible version that I created. The towers come to a sharp point and I used ice cream sugar cones and thin pretzel rods. The tip of the ice cream cones were cut, so the pretzel rod would sit tightly in the top. One tower was trimmed off a bit to make it shorter. I dipped them in white chocolate candy melts, sprinkled them with blue sugar and added a few snowflake sprinkles here and there. I also dipped some small pretzel twists to create a balcony. I made two layers of cake using a 12″ round pan and two layers using a 6″ round pan. Alternating yellow cake mix and devil’s food. Will admit, I love Betty Crocker’s boxed cake mixes! 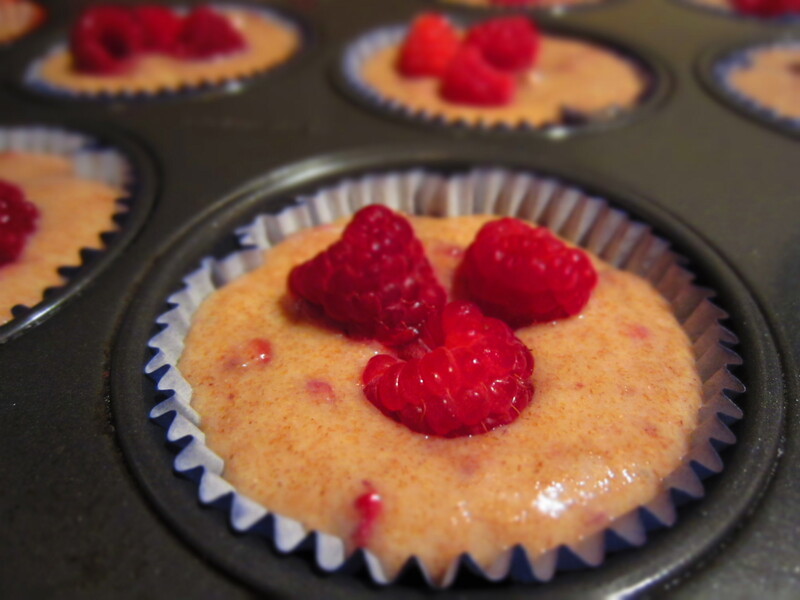 I think I had used 4 box mixes, since I was alternating flavors – made a few cupcakes and had a lot of leftover cake. One cupcake came in handy because it elevated the tallest tower perfectly! Like I said, I love to use boxed cake mixes because they always turn out moist and delicious. However, I DO like to make homemade icing and filling. This cake was frosted using a French Vanilla Icing, which I posted before. It holds up great for constructing a towering cake! The homemade filling was delicious and easy – love it because it is not too sweet. In a small saucepan over medium heat, bring strawberries, water and sugar to a boil. Reduce heat and simmer until a sauce forms. Add heavy cream and whisk in cornstarch one tablespoon at a time. Whisk constantly for approximately 8 minutes until thickened. Remove from heat and cool. Chill before filling a cake. The cake was pretty simple to assemble. I alternated the cake layers starting with chocolate, than yellow and they were each separated by the Strawberry Cream Filling. The entire cake was iced with the French Vanilla Icing. 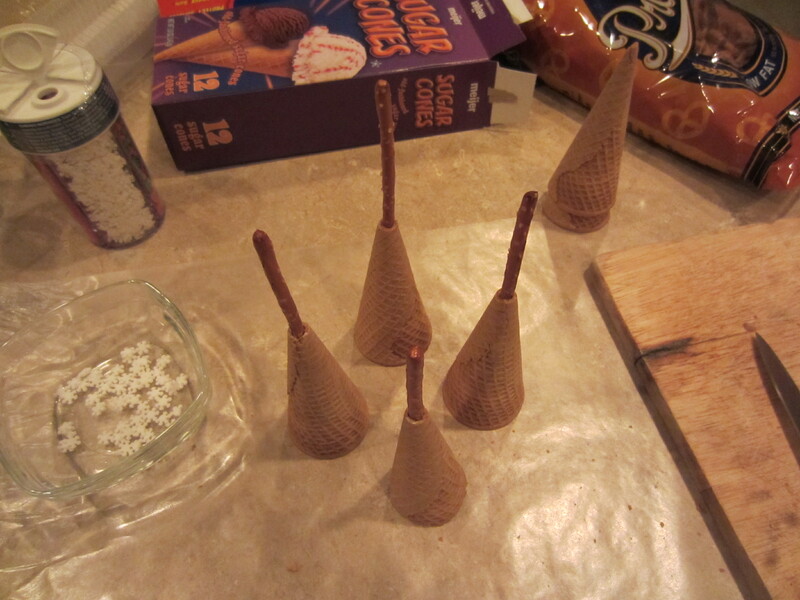 The chocolate covered cones were placed on top using an upside-down cupcake to elevate the back tower. In front of the 6 inch layers, I placed a Disney Elsa figurine surrounded by the chocolate dipped pretzels which created her balcony. Then placed a few snowflake sprinkles around the sides of the cake and sprinkled white sugar sprinkles on top like glistening snow. The birthday girl’s eyes lit up with a smile from ear to ear when she opened the refrigerator in the morning! She sure was happy and super excited about her party. More party ideas to come…stay tuned! 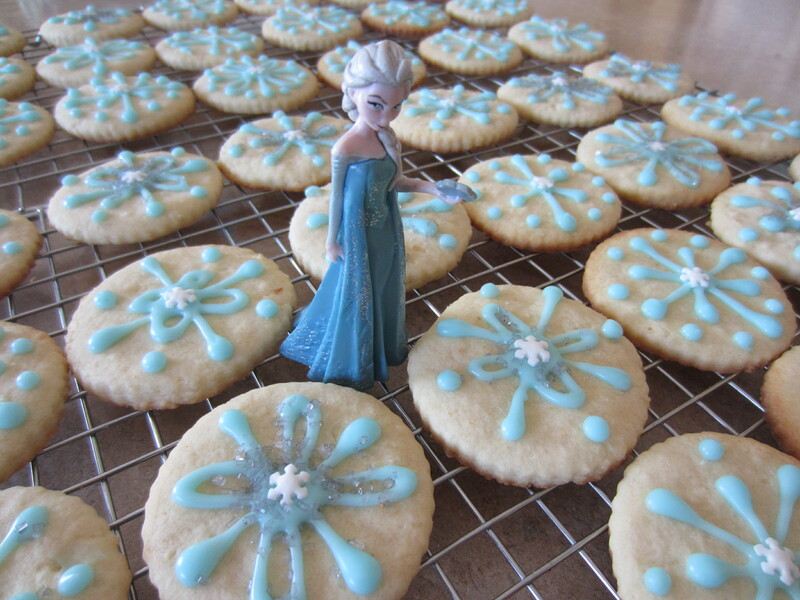 There is a Frozen Birthday Party brewing in our house, so keep posted for more to come! My daughter is turning 5 and we are throwing her a kid’s birthday party at home. She picked the theme from Disney’s Frozen for her party. I was actually very excited because this would be very easy to pull off. The ideas were flowing, despite party supplies don’t exist yet for this party theme. 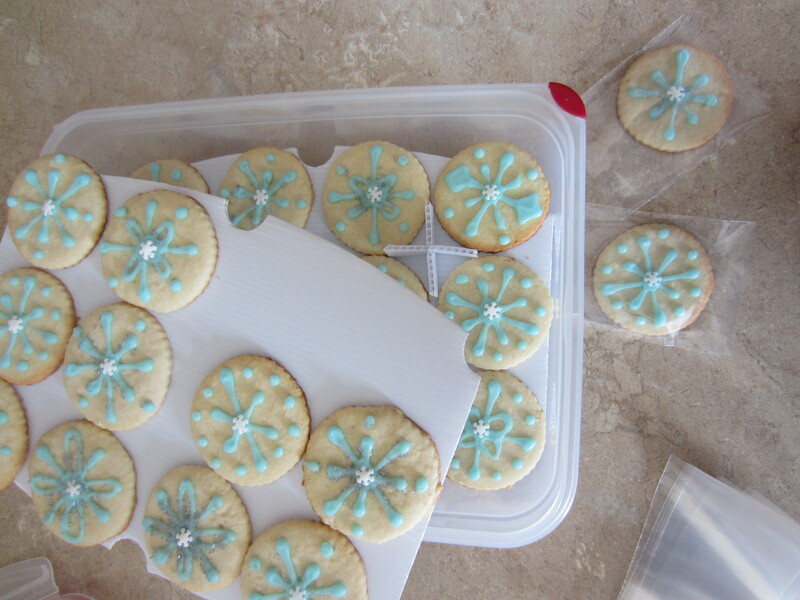 I was able to start executing my plans by making these beautiful snowflake sugar cookies a few days ahead of the party. The key to soft, fresh and beautiful decorated cookies is storing them properly! Preheat oven to 400°. Cream the butter and sugar. Beat in the egg and vanilla. Sift the flour and baking powder together and gradually add to the butter mixture. Divide dough into two balls. Roll dough to 1/4 inch thickness. Cut using cookie cutters. Bake on ungreased cookie sheet for 6-7 minutes, until edges are lightly browned. Transfer immediately to a cookie rack to cool. 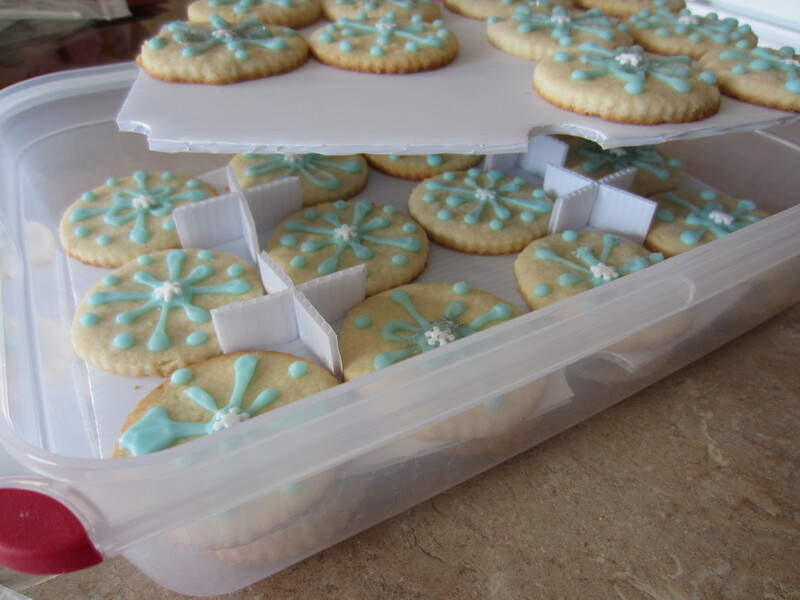 Store cooled cookies in an air-tight container or decorate. The icing recipe is so simple. I combine about 1 cup of confectioner’s sugar to approximately 2-3 tablespoons of milk. Stirring until a get a shiny thick icing (if not coming together, then add 1 additional tablespoon of milk). Thick enough so the icing will not run and thin enough that it can be piped. Add a drop or two of desired food coloring and stir. The piping was very simplistic, consisting of dots and lines. Before the icing sets, I placed a snowflake shaped sprinkle in the center. On a few others, I sprinkled some silver crystal sugars. There were about 5 different patterns made. Once the icing just starts to set, I transfer the cookies to an air-tight container to keep the cookies soft and fresh! I don’t like the taste and crunch when the cookies are set out to dry for long periods of time (like overnight). Sweet Stackers – stackable trays insert into a long, 3 inch deep, air-tight container. Using a container that was approximately 9×12 inches, I was able to store 36 cookies, in 3 layers (without them touching). Sweet Stackers are reusable and yet an inexpensive solution to storing cookies, dessert bars and even appetizers without a mess. Stop by the product website sweetstackers.com to find out more or shop on Etsy or Amazon. The morning of the party, I transferred each cookie to a small clear bag. Each guest could bring home a sweet “Frozen” treat and I even added one to each party favor bucket. 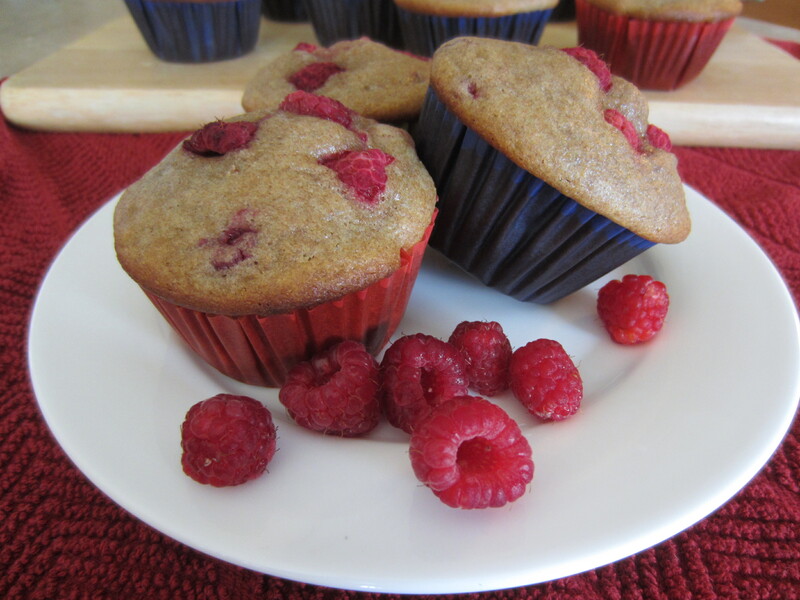 I have to say that I was very intrigued with the “frozen” part of this Frozen Raspberry Lemon Muffin recipe. Frozen Muffins, really? Do these looks frozen to you? This week I am trying to cram in as many summer activities as I can before my kids start school. I took them to a local farm called You Pick Berries to pick raspberries at the peak of their season. The raspberries were big, beautiful and plentiful. We even tasted a few along the way. Last night I couldn’t wait to bake something with our fresh raspberries, but I usually like to have my kids work with me. So I made these muffins all the way up until the point of baking them and popped them in the freezer overnight. * Kitchen Tip – if you don’t have buttermilk on hand you can mix 1 C milk with 1 TB white vinegar or lemon juice and let it stand for 5 minutes. Then measure out what you need for your recipe. In a large bowl, sift together the flour, baking powder, baking soda, ginger and salt. In another large bowl, beat the eggs and whisk in the buttermilk, oil, sugar, lemon zest, lemon juice, and vanilla extract. 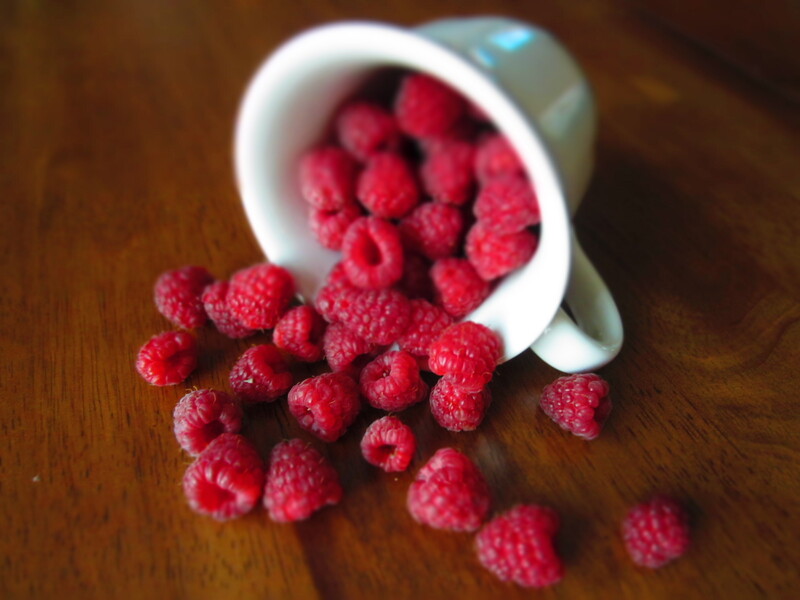 Gently stir the dry ingredients into the wet ingredients until combined and then fold in the raspberries. 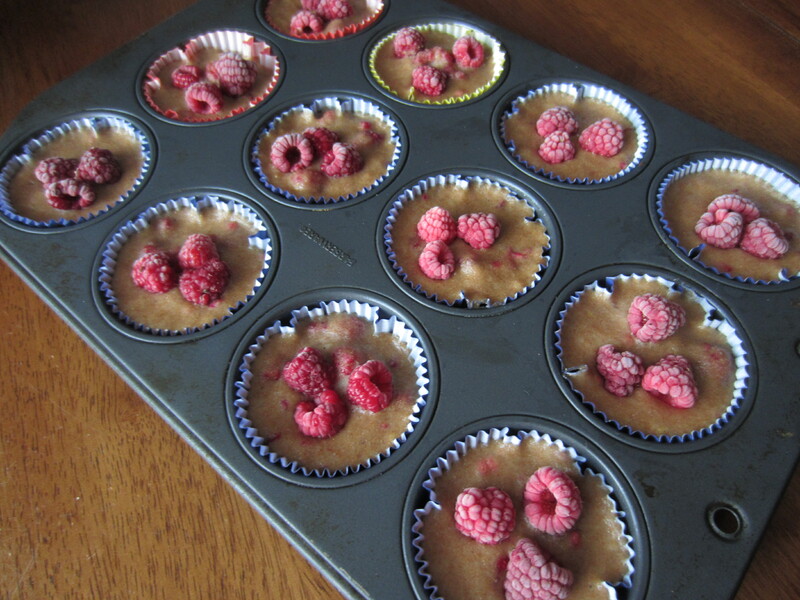 Fill 12 muffin cups just below the rim and place 3 raspberries on top. The muffins are ready to bake or the muffin tin can be placed in a freezer until the batter is frozen (at least 3 hours). The frozen muffins can be transferred and stored in an airtight container or freezer bag. Do you ever get a sudden craving for homemade muffins with no work other than popping them in the oven? When you are ready to bake, the frozen muffin cups should be placed back into a muffin tin and baked at 350° for 30 minutes. Test the muffins with a toothpick until it comes out clean. 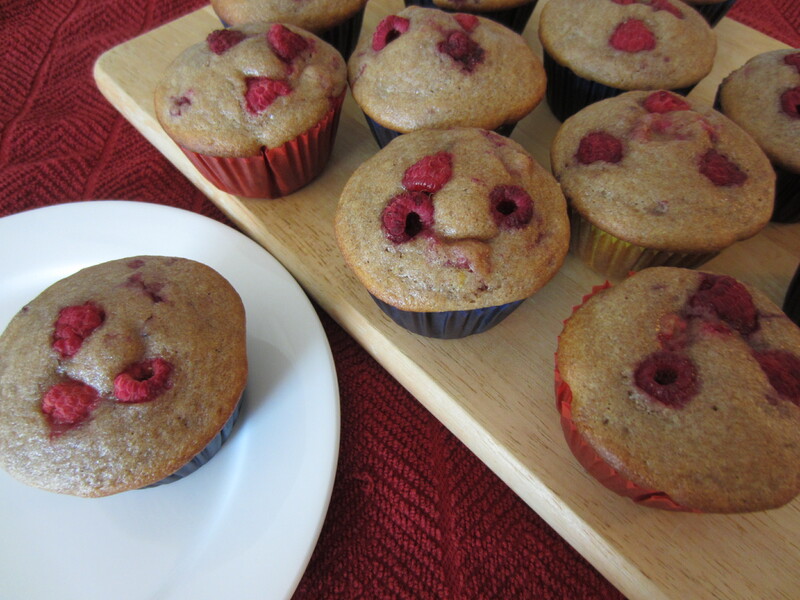 My kids woke up to the smell of homemade muffins and they were pretty excited to find out that they were made with the farm fresh raspberries that they picked.